We are looking forward to chairing a broad and engaging session on patient flow at the forthcoming Health Service Journal Provider Summit. The summit is widely recognised as a key national forum for discussion and collaboration, bringing together senior NHS leaders from across the country. 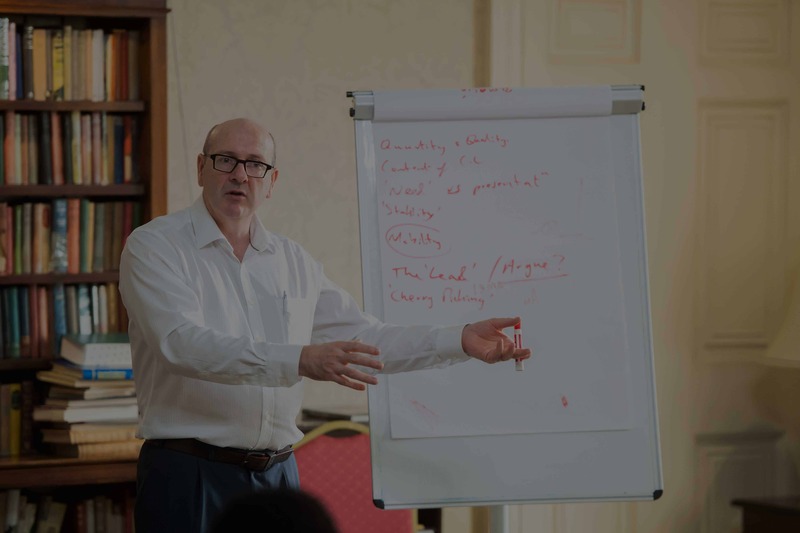 We will be leading a whole conference session entitled Optimising Patient Flow: presentation of three different case studies, executive-led discussion and learning. Our session will feature three case studies from NHS services across the country, encompassing key issues including stranded and super stranded patients, joint commissioning and integration and discharge to assess. We will chair a panel with senior figures from the three case studies, offering an opportunity for broad and open discussion and reflection. Revitalising the NHS of today: Reconfiguring services and processes to develop safe, efficient and patient-centred care pathways. Dr Gabrielle Silver, chief executive of CHS Healthcare said: “This forum is designed for really open, broad discussion at an executive level of the pressing issues and challenges for NHS providers.Up to 200 people working at leadership level across the NHS are attending. “We are focusing on patient flow from a case study perspective so there is the opportunity to drill down into different services in different regions, share experiences and reflect. This year’s programme of our nationally renowned Continuing Healthcare module commenced with sessions at the Royal Hospital for Neuro-disability, south-west London. The two-day module was first launched in 2015 as the first face-to-face training in CHC, encompassing the context of the framework as well as practical sessions applying its principles to practice. It was designed and is delivered by Art Calder, head of clinical services for CHS Healthcare, recognised as one of the leading authorities in this highly specialist field. Mr Calder has been a registered mental health nurse for 30 years, playing a key role in the development and implementation of the national framework for CHC. He has been a member of the national consultation group via the NICE Appraisal Committee and acts as one the Royal College of Nursing’s National Advisors. The module at the Royal Hospital for Neuro-disability on January 10 and 11 was the 32nd course to be delivered. More than 500 people have completed the module to date, with 233 participants being either CCG or local authority practitioners, who are offered the training free of charge whenever we are delivering services for their organisations. The remaining participants have been CHS Healthcare staff and associates. Day 1 is focused on the socio-political history and development of Continuing Healthcare in England. This includes key case law, the national framework and appreciating how they have shaped the delivery of the service. In the afternoon, participants are engaged in a full screening exercise and best practices noted across regions in England. Day 2 has a practical focus, set in the style of a case management workshop, with complementary presentations and discussions. Participants will complete a consolidation exercise to consolidate learning from Day 1. They are guided to utilise knowledge gained from Day 1, dynamically applying to practice on Day 2. Our entry Integrated management of hospital discharge pathways has been shortlisted for the prestigious Health Service Journal (HSJ) Partnership Awards. This is a joint entry with Bath and North East Somerset Council and CCG for the hospital discharge service they commission, funded by the Better Care Fund and we deliver. It is shortlisted in the Partnership Consultancy of the Year category. This project started as a small pilot in September 2017 and was so successful that it has been expanded to encompass all funding groups (social services funded and self-funding) and pathways, including individuals in need of Fast Track (end of life) care and a stand-alone project to safely transfer care for individuals in a care home which was closing. We now work with up to 46 patient referrals every month, sourcing care and managing the whole discharge process and have managed, in total, more than 300 discharges to date. This means we manage and co-ordinate the very large majority of discharges from Bath hospitals, communicating with multiple services and stakeholders in a clear, streamlined process. Each patient and their family are allocated their own adviser coordinating every part of the process including, where requested, transport to care homes and accompanied visits and all information sourcing. This support continues through evenings and weekends as this is often the most convenient time for families and reduces delays. We have been accredited with the highest level of cyber security company assurance in a Government backed scheme. The accreditation we have achieved is Cyber Essentials Plus, the highest level of security against the risk of a cyber-attack. To achieve this level of accreditation, our security standards were independently verified. 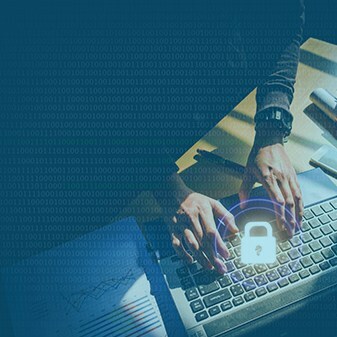 The scheme was introduced by the UK Government in collaboration with industry partners, including the Information Security Forum, the Information Assurance for Small and Medium Enterprises Consortium and the British Standards Institution. It is managed by the Government’s National Cyber Security Centre. Recent events have shown the risk of cyber-attacks and the growing sophistication of such attacks. “As a company, we are very conscious of our responsibilities in terms of maintaining the highest levels of cyber security,” comments Tony Wintrip, Office Manager, CHS Healthcare who has overseen the accreditation process. “We are a major supplier of software to the NHS and as such, hold a large amount of continuing healthcare patient information. We are therefore very clear on the importance of having optimal cyber security in terms of our company processes and systems. “The benefit of this Government backed scheme is that it gave us a very clear and robust set of standards and guidance, reflecting the latest knowledge in this area. 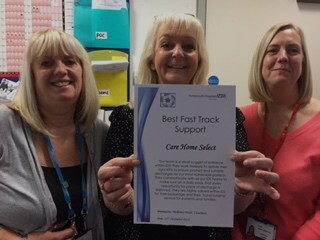 Our Portsmouth team have been given an award for their fast track service, described as a “small nugget of brilliance” supporting patients who need end-of-life care. The CHS Healthcare team at the Queen Alexandra Hospital provide dedicated co-ordination of care for patients with Fast Track (end-of-life) continuing healthcare funding. Patients have high level of needs and require prompt and sensitive discharge co-ordination to ensure they spend their final days and weeks in an appropriate care setting. “The team is a small nugget of brilliance within the Integrated Discharge Service (IDS). They work tirelessly to deliver their tight key performance indicators to ensure prompt and suitable discharges for our most vulnerable patients. The CHS team in Portsmouth have been based at the Queen Alexandra Hospital supporting patients and their families since 2015. The team are commissioned to work with and support 30 self-funding/West Hampshire Clinical Commissioning Group placements, to include fast tracks, per month. The team provide a full patient discharge service working closely with families on both residential and nursing placements and packages of care at home. Melissa Allin, Business Manager for CHS Healthcare (south of England), commented: “We are really proud of the Portsmouth team, it is wonderful to see such commitment, skill and dedication acknowledged with this award. We have launched our first Trusted Assessor service, commissioned in Walsall, West Midlands and commencing in November. The Trusted Assessor model is recognised as a key means of improving hospital discharge by reducing a major cause of delays. In this model, which is commissioned by Walsall Council, we provide the Trusted Assessor who carries out assessments of patients in Walsall Manor Hospital and Walsall residents who may be in other Black Country Hospitals, such as New Cross and Russell’s Hall. A Trusted Assessor carries out assessments of hospital patients on behalf of care homes, who need to consider what the patient’s needs are and whether they would be able to meet those needs. “A very important principle is that the assessment is independent and trusted,” said Harry Bourton, Regional Manager for CHS Healthcare, Midlands. “We are widely recognised with a twenty-year track record of co-ordinating care between hospital and community care providers. In our clinical services division, we employ many experienced nurses and clinical experts. One of the main causes of delay to hospital discharge is the time taken by care homes to carry out assessments of individuals who are in hospital and are transferring out into 24-hour care. Kate Tatton, Business Manager for CHS Healthcare, Midlands, said: “It can be challenging for care homes to send a senior manager out to do a hospital-based assessment, particularly if they are very busy, or there are staff absences, or if the hospital where the individual is located is a long distance from the care home. “However, most homes won’t accept an individual without seeing and assessing them themselves, so sometimes there can be a significant number of days between an assessment being requested and the assessment taking place. We have developed a Trusted Assessor tool for this purpose, encompassing all the information that is needed by care homes when considering an admission: mental capacity, behaviour, physical and social needs. We are delighted to announce Caretrack database has been awarded a place on the G-Cloud 10 framework. This means Caretrack has been through a very rigorous evaluation process and is now on the Government Digital Marketplace, a hub of trusted and accredited ICT suppliers. Caretrack was developed by CHS Healthcare as a comprehensive platform for the management of people with continuing healthcare funding and other funder groups (complex care, funded nursing care). The G-Cloud evaluation process provides the public sector with the assurance that only companies with the highest levels of data security, compliance and control are on the framework. Dr Richard Newland, chief executive of CHS Healthcare, said: “From the earliest stage of Caretrack’s development, we focused very clearly on data security. “The principle was to build a web-based platform, so staff working in multiple locations could conveniently access and use the system. Equally, storing and managing a large volume of patient information, we recognised the need to maintain the highest standards of security. “We have continuously invested in the functionality and quality of Caretrack, which was originally launched in 2002. G-Cloud 10 is the most recent version of the Government’s cloud-based assurance framework, which was first introduced in 2012 to evaluate the quality of ICT suppliers to the public sector. It is a partnership between the Government Digital Service and the Crown Commercial Service. Caretrack is accredited in the software category. CHS Healthcare chief executive Dr Richard Newland has been invited to judge one of the most eagerly anticipated categories in the Health Service Journal (HSJ) Awards. Dr Newland will judge the chief executive of the year award for the 2018 HSJ awards, the most prestigious and popular showcase in the health sector. Founding CHS Healthcare in 1995, Dr Newland has already judged previous HSJ awards, having assessed entries in the 2017 HSJ Value awards. “I am really delighted to be involved again,” said Dr Newland. 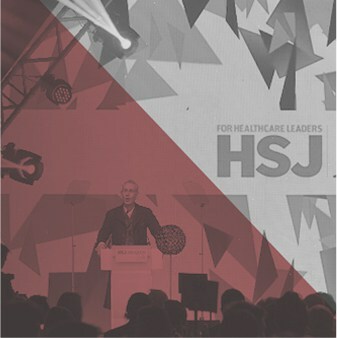 “The HSJ Awards are very well regarded and an important showcase of best practice and expertise across the whole sector. “I am looking forward to assessing entries to the chief executive of the year category; it is a fascinating question. The idea behind the inception of CHS Healthcare came from Dr Newland’s experience as a GP working in Sutton Coldfield, Birmingham. Families would ask for advice on important care decisions, such as choosing a care home, and Dr Newland recognised there was a lack of good information and professional advice for families in this position. He founded CHS Healthcare with initially one member of staff. Today, CHS employs 350 people, with services commissioned throughout England. Although the core principle of providing high quality, independent care advice remains, services have grown and diversified. CHS Healthcare is the leading independent provider of hospital discharge services, working in-house in 30 NHS hospitals, substantially reducing choice delays by working with patients who are medically optimised for discharge but need care (in their own home or care home choice) in order to leave hospital. Additionally, CHS manages discharge to assess pathways (all three models) in a number of areas, provides the full continuing healthcare service for three CCGs and offers the largest independent resource in continuing healthcare in the country.